Biotech Nutritions Caralluma Fimbriata Review - Does It Work? 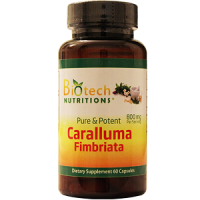 Today we review the product Caralluma Fimbriata manufactured by Biotech Nutritions. This product claims to help you on your weight loss journey by suppressing your cravings for food and liquids. It also helps indirectly to stop the production of more fat cells in your body. If you are serious about losing weight and becoming a new, healthier version of yourself then this supplement might be worth looking in to. 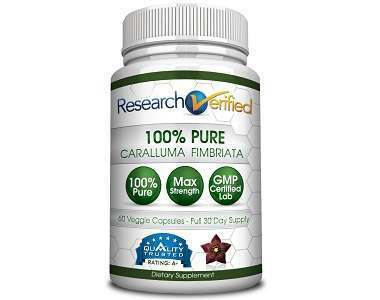 Read the rest of our review below for more in-detail information regarding Caralluma Fimbriata. What’s in Biotech Nutritions Caralluma Fimbriata? 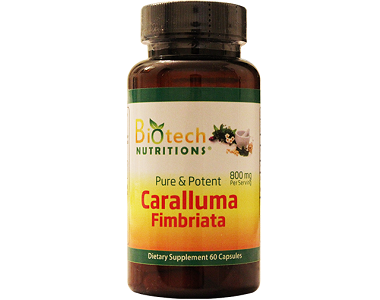 Each capsule contains 800 mg of Caralluma Fimbriata. This ingredient comes in a vegetable capsule that is free from fillers, binders and any other artificial ingredients. The active ingredient is known as Caralluma and helps your body to stabilize metabolically and to suppress all hunger and thirst cravings. This ingredient then helps to prevent the formation of new fat cells in the body and also actively helps to break down existing fat cells. If you combine this product with a healthy diet and an exercising program you may see results even quicker. How Do You Use Biotech Nutritions Caralluma Fimbriata? It is recommended that you take 2 capsules per day about 30-60 minutes before breakfast. Take another 2 capsules before lunch. If you are pregnant, nursing or you are suffering from a serious medical condition consult your doctor before using this product. You can purchase this product directly from eh manufacturer’s website. Each bottle costs $15.99 and contains 60 capsules. Unfortunately, we could not find any discounts pertaining to bulk offers. There also does not seem to be a subscription service relating to this product. Shipping is free within the USA. Unfortunately, we were unable to find a guarantee pertaining to this specific product on the manufacturer’s website. This shows a lack of confidence in the claimed results of this product and makes one questions if it is worth it to buy this supplement. Without a good guarantee customers are essentially taking a risk when buying this product, seeing as other leading manufacturers offer guarantees that keep you covered for up to 365 days. Unfortunately, we also found various negative reviews regarding this product on Amazon. Most of the unhappy customers state that this product actually made them hungrier and that it did not help them to lose weight at all. We like that this product aims to help you lose weight naturally by curbing your appetite and actively stopping the formation of new fat cells. We also like that it is relatively affordable and that it is free or artificial ingredients and binders. However, the lack of a solid guarantee policy makes us question the efficacy of this product. We are also disturbed by some of the negative reviews we found on Amazon, which state that this product actually makes you feel hungrier and that it only got a 1-star rating by more than half of the reviewers.